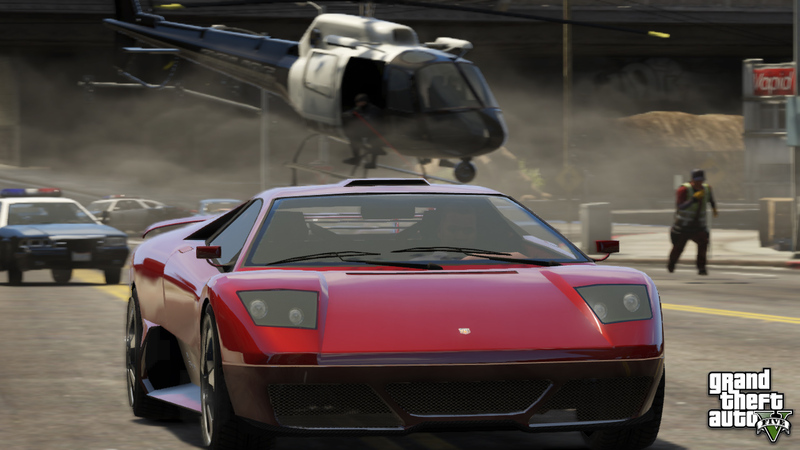 In my opinion a great way to round out the week is a fresh helping of new screens from our friends over at Rockstar! This time we're getting to see some great action shots with a 'business' theme! 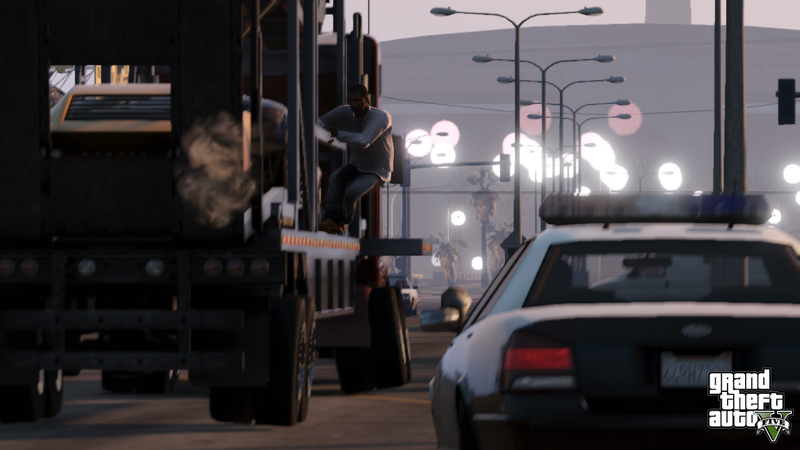 The cops are on your tail! Better knock them outta the sky! On the run now, but I'm sure we'll get away with the goods. The water looks VERY nice this time around, doesn't it? Don't lose your grip! You'd never make any money that way! Unfortunately that's it for new screens for a few weeks or so, but we'll be keeping an eye out for any more information as it comes! 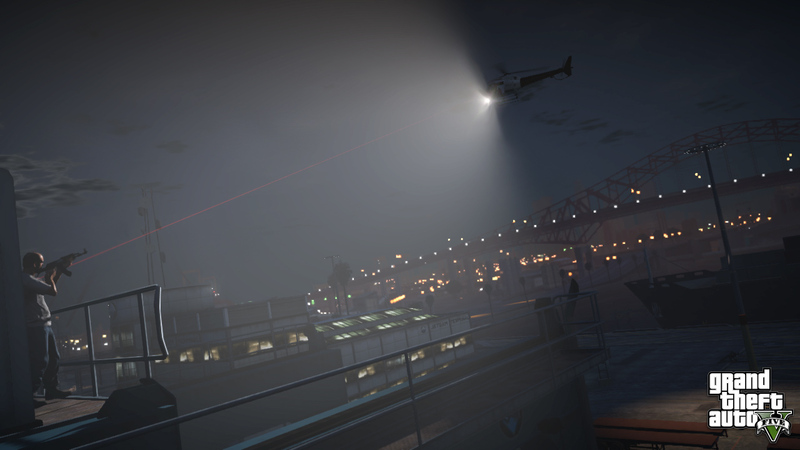 As always come check out our GTA 5 forums for the latest on GTA V and much more plus dissect these new screens in the forum topic here! im at the edge its been a few weeks dangit!!!!! 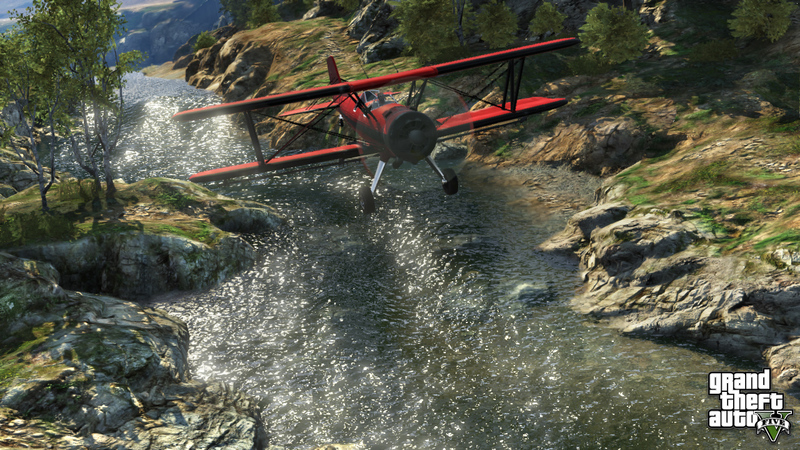 and i want better police cars...... any way luv the screens the plane and the water looks fairly realistic!!!!!!!!!!!! Has it been "a few weeks" yet? Just remember all good things come in time. Don't be so stupid "can't be done with even the best software" I could do that in 20 seconds in photoshop, don't talk crap. I was also wondering something. I know when R* first announced GTA V they said there will be "Los Santos and surrounding hills, countryside, and beaches". 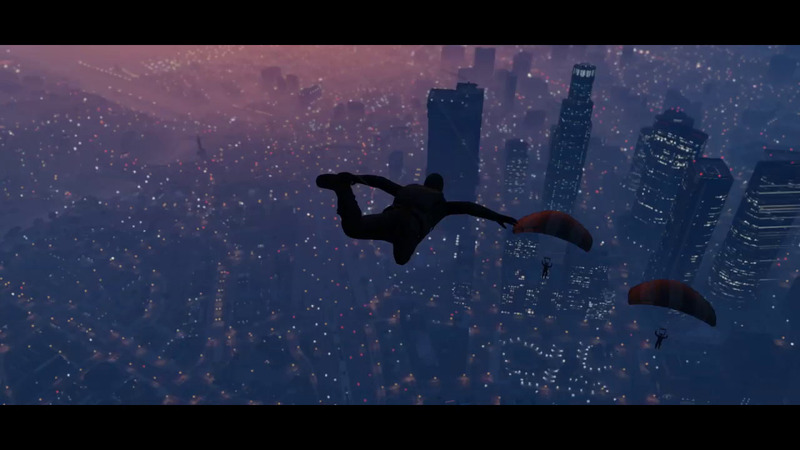 I wanted to know if there will also be desert areas in GTA V.
Four New Action Screens - More screens from Rockstar, and this time we get to see some great action shots!